Injuries from ball sports showed a slight uptick of 5.5%, with football and soccer leading the way. 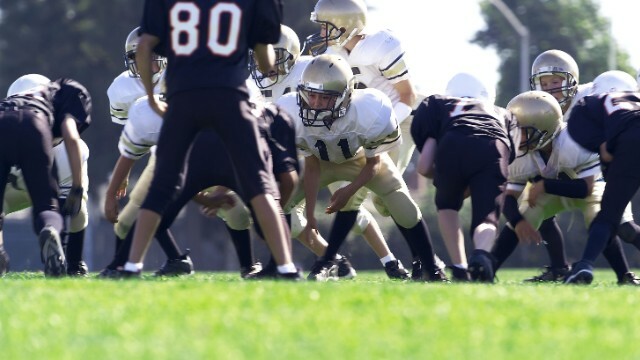 Football injuries among children have increased 22% in the last decade, according to a new study. Overall, however, sports injuries among children have decreased. The findings surprised Dr. Shital Parikh, associate professor of orthopaedic surgery at Cincinnati Children’s Hospital and the study's lead author. Parikh will present his research at the American Academy of Orthopaedic Surgeons’ annual meeting on Thursday. When he started analyzing the numbers from the National Electronic Injury Surveillance System, Parikh expected to find a big increase in kids’ injuries based on what he and his colleagues have seen in their practice. Instead he found that the overall number of activity injuries for kids aged 5 to 14 decreased 11.3%. The researchers looked at data from bicycle, basketball, football, roller sports, playground equipment, baseball/softball, soccer and trampoline injuries. Recreational activities – such as bicycles, trampolines and roller sports – saw the biggest decrease at 24.9%. But injuries from ball sports showed a slight uptick of 5.5%, with football and soccer leading the way. Parikh’s research did not address the “why” behind these trends, but he said there are probably several causes. The overall decrease in injuries could be attributed to the overall decrease in kids’ physical activity and the increase in childhood obesity, he said. Sports may also be safer than they were 10 years ago, thanks to continuing education and preventive programs. That said, “Parents are pushing kids toward organized sports at the cost of free-play activities,” Parikh noted. In other words, children are trading afternoons of jumping on the trampoline or cycling around the block with friends for scheduled training sessions on the soccer field. But parents can do their part to keep children as safe as possible. Parikh recommends discussing new activities with a primary care physician to make sure the sport – and how often a child is playing – won’t place too much of a strain on his or her body. Parents should also provide the proper protective gear, such as helmets, shin guards and athletic shoes, he said. controlling your breath and focusing in onto your system is leading you inside proper direction to reduce your stress level. curd tend to be easily assimilated. Various forms of football can be identified in history, often as popular peasant games. Contemporary codes of football can be traced back to the codification of these games at English public schools in the eighteenth and nineteenth century." Hi, after reading this amazing post i am also glad to share my experience here with colleagues.